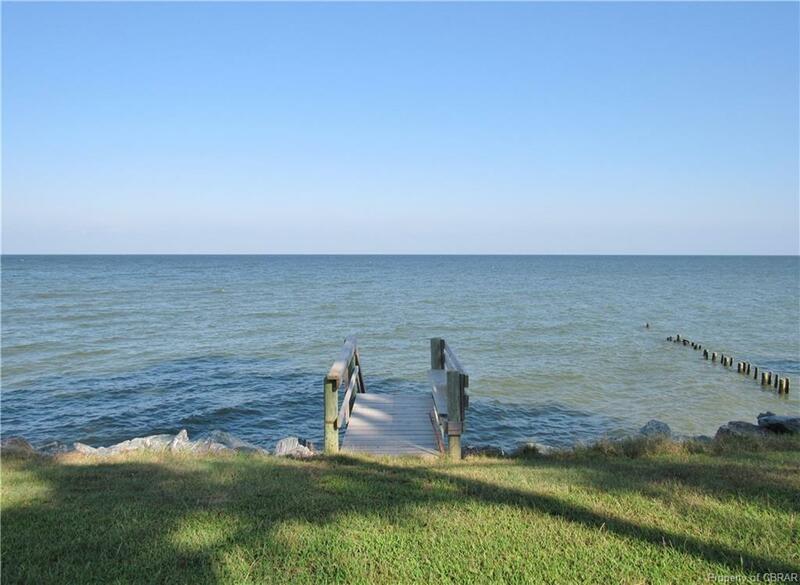 797 Chesapeake Beach Road, Reedville, VA 22539 (#1841868) :: Abbitt Realty Co. 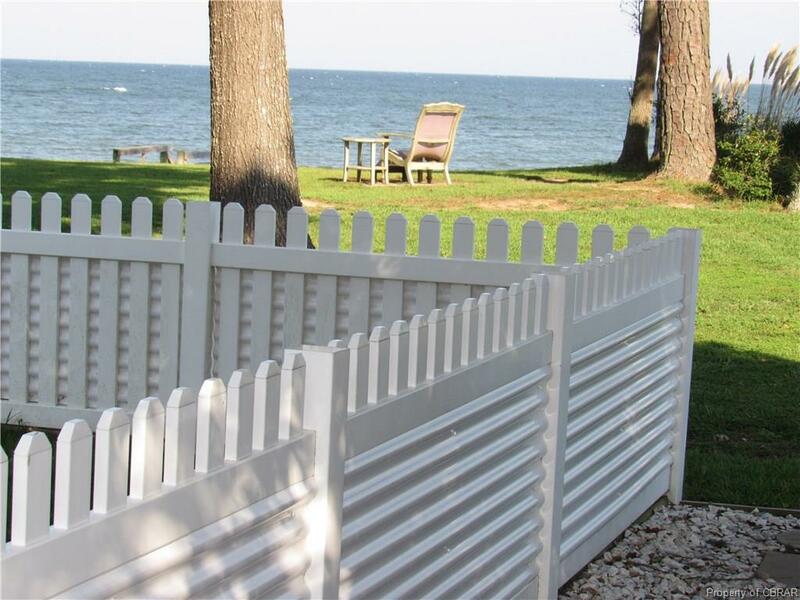 Stylish Waterfront, Custom Built Modular Beach Home With Endless Chesapeake Bay Views. 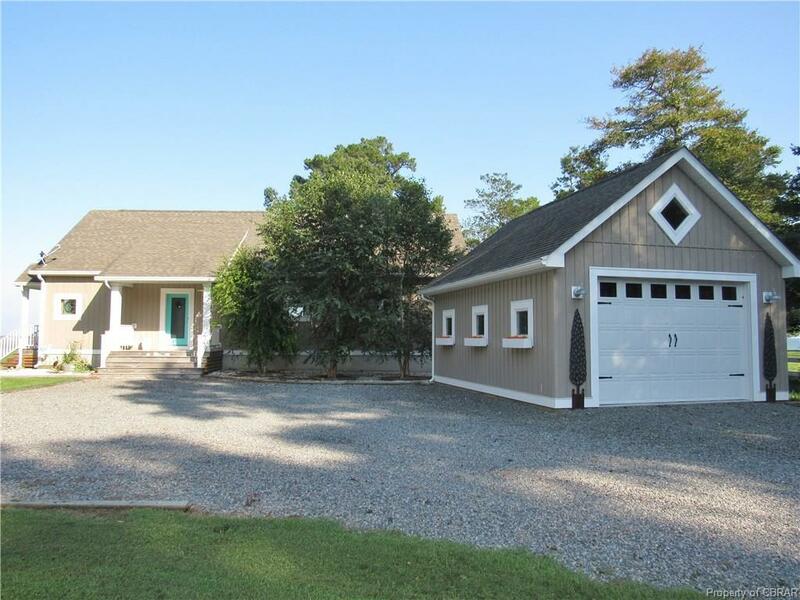 Sited on 1.42 acres with panoramic views of the Chesapeake Bay, this 1,540 SF home has a bright floor plan with hardwood floors in the main living area. The great room, dining area and impressive chef's kitchen with pantry are surrounded by windows and glass doors, bringing magnificent views and natural light. In the great room, 2 sets of sliding glass doors open to the waterside 24' x 10' screened porch, the perfect location for 24/7 "Bay Watching". Rich red, built in bookshelves and cabinetry in the great room complement the extensive matching cabinets in the kitchen, all finished with stunning white marble counter tops. Just off the kitchen, the spacious laundry features a high efficiency washer and dryer with a double row of built-in cabinets for storage. On either side of the home, there are two nice bedrooms (3 bedroom septic installed) with sliding glass doors opening to the waterside deck. There are 2 full baths. One bath has a large 5' x 5' Rain Shower. Additional features: detached oversized garage, with cottage details, whole housed generator, artesian well and floored attic. 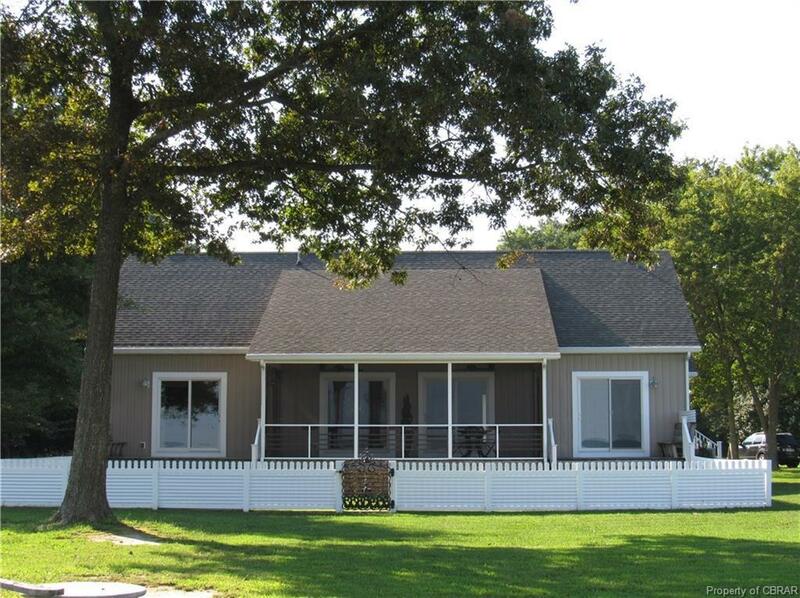 Listing courtesy of Jim & Pat Carter Real Estate. Listing information © 2019 CVRMLS and CBRAR.